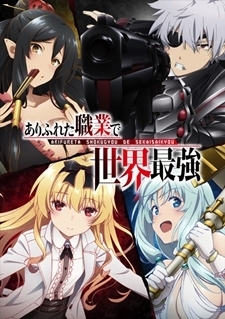 At this year's AnimeJapan stage event, additional cast members were announced for the upcoming TV anime series Arifureta Shokugyou de Sekai Saikyou. Produced by Asread and White Fox, the series is slated to premiere this July. That CGI is terrible. Not like I would have watched this anyway. I feel like it's decent of a PV though not much to show off from the previous one so... Idk. I don't know, it seems fairly interesting I suppose. CGI-esque moments were sort of jarring though. Surprised there's no more comments on this, I was sure this'd be the next Tate no Yuusha and Goblin Slayer in terms of blistering popularity. On another note, its because I've been busy finishing my piles of manga and anime instead, so I'm quite looking forward to this, to be honnest!